Sleek, stylish Wessex residential elevators are perfect for the two-story home where space is a concern. Install virtually anywhere, while leaving your staircase free of obstruction. Looking for a residential elevator that’s as stylish as it is convenient? Wessex home elevators are an elegant option for the two-story home where space is a concern. 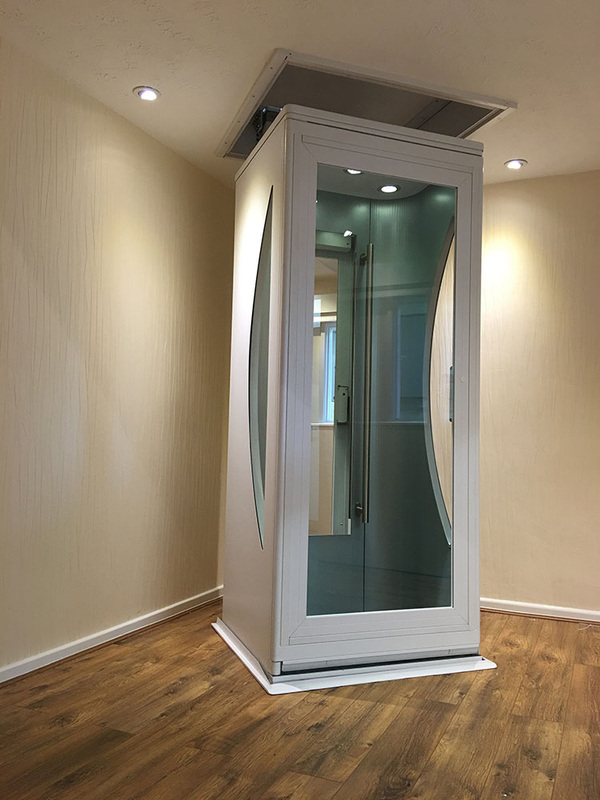 Wessex elevators can be installed virtually anywhere, enabling you to enjoy your independence while easily and safety moving between floors, and leaving your staircase free of obstruction. Freedom Lifts carries and installs a full line of Wessex home elevators at affordable prices. From seated cars to wheelchair platforms, we can set your residence up with the best in home mobility systems. The Elesse Model – Luxury and elegance in a small package, with minimal construction needed! The Elesse is a through-floor home elevator that doesn’t require a wall for installation. It’s a stylish and convenient alternative to a stair lift. A variety of colors, flooring, and other options ensure it meets your individual taste.